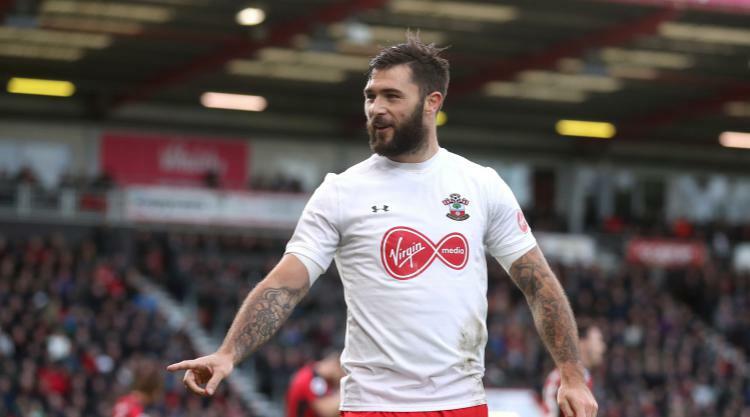 Charlie Austin was left baffled by Bournemouth fans booing him after the striker rescued a point for Southampton on Sunday. Austin scored his third goal in three games to cancel out Ryan Fraser's opener and secure Saints a 1-1 draw at the Vitality Stadium. After slotting home Nathan Redmond's cross, Austin celebrated in front of the home supporters, who had been jeering him throughout the game. Austin spent six weeks training with Bournemouth when he belonged to Poole Town back in 2009, but the move was blocked as the Cherries were then placed under a transfer embargo. "Their reaction was a bit odd, I am not too sure why. It was not my fault," said Austin, who joined Swindon instead and then Burnley. "If anything, I was going to sign here and (manager) Eddie (Howe) and (assistant manager) Jason (Tindall) did everything they could to sign me and I would have signed. "But, like Eddie said earlier in the week, he could not stand in my way and I am forever grateful to them for letting me go and giving me a chance. "It is not strange to score against them. It was a long time ago and I never actually signed for the club." Redmond's assist also had added significance given he was left on the bench following his feisty exchange with Manchester City manager Pep Guardiola last week. Saints boss Mauricio Pellegrino said Redmond was being rested but the winger came off the bench at half-time to inspire the visitors' fightback. "It was a strange one," Austin said of Redmond's face-off with Guardiola. "But he is a good pro. He came on at half-time, got his head down and changed the game in our favour." Both sides could have claimed victory in the second period but Bournemouth felt particularly aggrieved after Adam Smith was denied an early penalty. Smith seemed to exaggerate his fall over Sofiane Boufal's reckless challenge and was booked for diving by referee Jon Moss, who apologised to the full-back after the match. The yellow card was Smith's fifth of the season and means he will now serve a one-match ban. "I knew the tackle was coming. I had to ride the challenge. I'm not just going to stand there and let him go through my legs," Smith said. "Obviously the referee admitted it after, and apologised. That's never happened before in my career. "Sky Sports showed it to me on the TV. I honestly don't know how he hasn't given it. I think someone said the referee didn't have a great view so obviously he's guessed, but the linesman is right there so I don't know what he's doing."